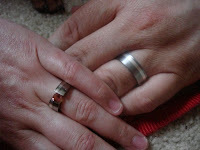 I love your rings! They are beautiful! BF and I have talked about engagement rings - he wants to choose, but wanted my input. 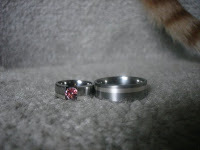 He was surprised to find I didn't want a diamond - either a blue topaz or a sapphire, but no diamond.